The upcoming arrival of Harper Lee’s second novel, Go Set a Watchman, came as just as much of a shock to people in the publishing industry as it did to the rest of us. Even Hugh Van Dusen, Lee’s editor at HarperCollins, didn’t learn about the book’s existence until yesterday. Van Dusen, who’s been working with Lee for years, spoke to us about the new book, the author’s current life, and whether or not she’s been able to put some recent legal skirmishes behind her. When did you learn the book existed? I learned yesterday. Other people have read it at Harper, but I haven’t yet. The book had been a deep secret here, even to me. Do you remember your reaction in the moment? Amazement. It’s absolutely stunning. To find a complete and apparently very good book by a writer of this caliber? To Kill a Mockingbird sells more copies in this country than any other classic novel. No one is really sure how many copies it has sold since publication, but the number is huge. I’ve seen a 40 million figure. It’s more than that, but roughly in that neighborhood. I’m trying to find out exactly. It sells about 750,000 to 800,00 copies a year, which is much more, for example, than The Great Gatsby or Salinger — you name it. Maybe not more than Huckleberry Finn, but we’re talking 20th-century novels. Why is this book finally showing up now, after all these years? The version I was told was that the book was in either a safe deposit box or a bank vault, and it was wrapped in a manuscript of To Kill a Mockingbird and nobody noticed it for all these years. I don’t know this for a fact, but one must imagine that Harper Lee — we call her Nelle — just never told anybody about the book and then forgot it existed. Her lawyer, Tonja Carter, who is also Nelle’s very close friend, was apparently looking through this safety deposit box and found [Go Set a Watchman]. I guess she then went to her friend said what it is this? Nelle said, and this is all public knowledge, that her editor at the time at Lippincott, the original publisher of To Kill a Mockingbird, said to her this isn’t what you want to write; you want to write something about Scout when she was a girl. So Nelle went back and wrote a new book: To Kill a Mockingbird. Get Set a Watchman has been described as a sequel to To Kill a Mockingbird. It sounds like that’s not accurate, right? It’s actually more of a prequel. She wrote it before To Kill a Mockingbird, but the new book takes place after the events of the book that was published. Harper is a famously private person. Does she have any ambivalence about the fact that the publication of the book is going to result in a lot of new publicity? Has the book been edited? Or is what will eventually be on bookshelves untouched from what was in the safety deposit box? If it has been edited, nobody’s told me. It’s the novel she wrote and showed to her editor at Lippincott, who didn’t think it was the book Nelle should be writing. So Nelle wrote another book. I don’t know this for a fact, but I doubt very much that anyone at Harper has edited it. My understanding is that it will be exactly what she wrote in the mid-1950s. 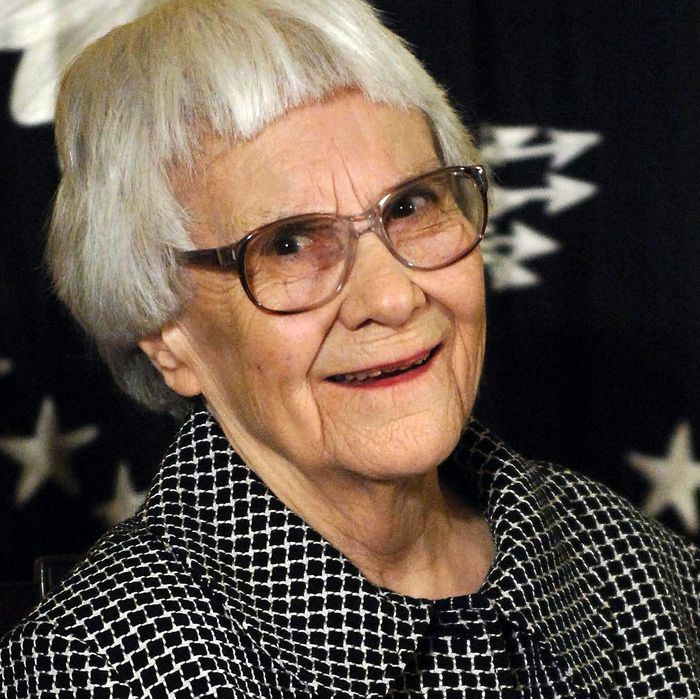 So what does it mean to be Harper Lee’s editor today? I first met her about eight or nine years ago. She actually had a stroke about eight years ago, and I met her a couple of months before that at a Harper function. I’d never met her before. We had lunch and had a very good time, so she then came to dinner at our apartment in New York, with my wife, who’s also in publishing. After she recovered from the strokes, she went back to where she’s from in Monroeville, Alabama, to live, and she’s in a nursing home there now. She’s getting progressively deafer and more blind, and that’s where things stand. I don’t hear from her. There’s no reason why I should, because we don’t need to do anything. I write her notes now and then, but I haven’t heard anything back and I wouldn’t expect to. But I can give you my impression of her, if you like? There’s this rumor about her that’s been prevalent for decades that she’s a recluse, which is absolute nonsense. She’s not a recluse. When my wife and I went to visit her in hospital after the stroke to see her, the room was filled with wonderful women friends of Nelle’s who were all caring for her and helping her and comforting her. She’s not a recluse at all. She just doesn’t like publicity. That’s a perfect description of both him and her. All this time, you never had the slightest inkling that Harper had written another book? No. Never. The one thing I learned very early on was that you never asked her what she was writing or working on. She would have not reacted well to that. Nobody knows whether she was writing over the years. She may have been writing something else, but no one knows. I’m not suggesting she has been, of course. Has there been any direct contact about the book between Harper and HarperCollins? Or is it all done through intermediaries? Are you asking if we’ve been in touch with her directly? Specifically about the release of this book, yes. I don’t know, but I don’t think so, only because she’s very deaf and going blind. So it’s difficult to give her a phone call, you know? I think we do all our dealing through her lawyer, Tonja. It’s easier for the lawyer to go see her in the nursing home and say HarperCollins would like to do this and do that and get her permission. That’s the only reason nobody’s in touch with her. I’m told it’s very difficult to talk to her. Is there any link between the book appearing and all the legal problems surrounding the To Kill a Mockingbird copyright having died down? No. Everything is calm. All the legal issues, I believe, have all been settled. Her lawyer Tonja Carter discovered this manuscript, which nobody knew had existed and Nelle thought had disappeared. I’m sure that’s what happened. I’m told that all those legal problems are settled now. And those problems have nothing to do with this publication. I promise you that’s true. It’s easy to be skeptical about her willingness to publish a book that had been forgotten for 55 years. You mean was she unwilling to have it published? No, no, no, no. We would never do that. She’s too valuable an author to fool around with that way. It would never happen. We wouldn’t dare do that. Is she still living in the nursing home? Is it fair to say that Harper won’t be talking to the media now that she’s got a new book out? I don’t think anything there’s going to be anything more revealing than what’s in the press release.